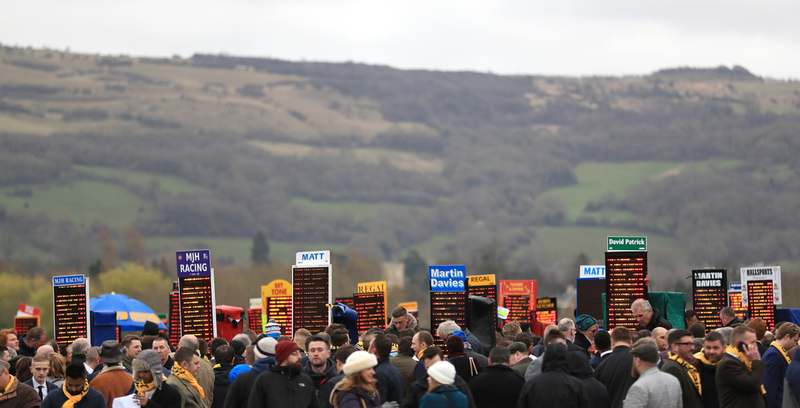 The search continues for the unknown punter, who is probably blissfully unaware they are yet to cash in on a winning trifecta ticket from the Grand National, worth a whopping £11,000. The treasured tote ticket - which costs £10 to place, awards punters for a win, an exacta and a trifecta, which on Saturday paid £23,141.60 to a £1 stake. The trifecta calls upon the backer to select the winner, the second and the third horse in the correct order, but the unknown individual was reported to have only cashed in on a winning single on Tiger Roll. Yet somehow, they had the successful trifecta buried amongst their pockets, with the 4/1 favourite written in first, 66/1 shot Magic Of Light in second and 8/1 chance Rathvinden in third. The Aintree PA system announced the trifecta had been won and asked racegoers to double check their tickets, but according to Britbet managing director Nigel Roddis the prize remains unclaimed. (Credit: Racing Post) Speaking on Sunday, Roddis said: "We asked Aintree to alert punters on course after the race that someone had won the trifecta for more than £11,000, but the winner is still out there. "Hopefully they’ll check their tickets and next time they come racing they can put it through the machine, or be made aware that’s what they’re getting." "We had quite a few big winners over Cheltenham and they’re a nice bit of fun, but, as this case could prove, they can provide a nice surprise as well. "It’s important everyone checks their ticket, because they might find they don’t have to go to work next week!" The result infatuated what was a terrible weekend for the bookmakers, with Tiger Roll landing a major gamble over the late winter and early spring in the big race itself - the Randox Health Grand National. His second win in the race estimated to have cost the industry £250 million, having been sent off the shortest-priced winner since Poethlyn landed odds of 11/4 exactly 100 years ago. Betway's Alan Alger confirmed: "The quarter-of-a-billion pound bombshell has landed. "Tiger Roll has gone back-to-back and inflicted the most expensive result in Grand National history. People have been backing this horse since he got his head in front here last year, and he'll go down as the greatest ever result for punters. "There have been a few favourable results across the week for us bookies, but it was always going to come down to the National and we've been wiped out." Betfred's Fred Done also reflected; 'We have been mauled by the Tiger once again'. It has been confirmed that this was the costliest result since the legendary Red Rum landed his third Grand National back in 1977.